Shopping at the commissary or exchange isn’t always easy, especially when you don’t have an opportunity to see the weekly deals beforehand so that you can plan ahead for savings. Fortunately for military shoppers at MCB Camp Pendleton in California, as well as all U.S. military bases around the world, MyMilitarySavings.com provides free access to online savings, coupons, and more. We know that military life is not without its hardships and stresses, so we have dedicated ourselves to making it easier and more enjoyable for military families to save money and time with exchange and commissary discounts. 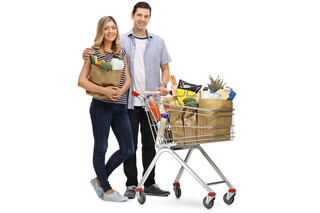 With MyMilitarySavings.com, you can plan your shopping trip around the latest deals for the commissary and exchange in MCB Camp Pendleton, CA. Also, with our “My Shopping List” app, you can build a customized shopping list that you can view right from your phone to save you even more time and hassle. In addition to providing access to commissary and exchange coupons and other deals, we also serve as a hub for military families across the world where our bloggers share their experiences, advice, recipes, and more. If you’re interested in more information about saving time and money at the Marine Corps Base Camp Pendleton exchange and commissary, sign up for free at MyMilitarySavings.com today.